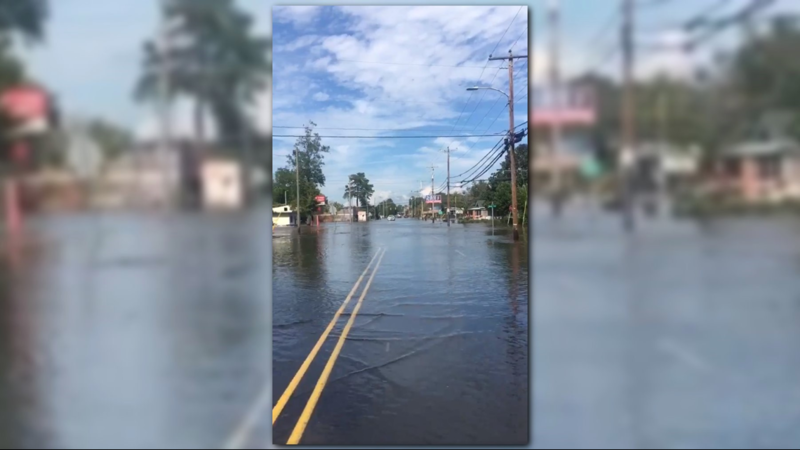 List of roads from across the Triad areas that are closed due to flooding. 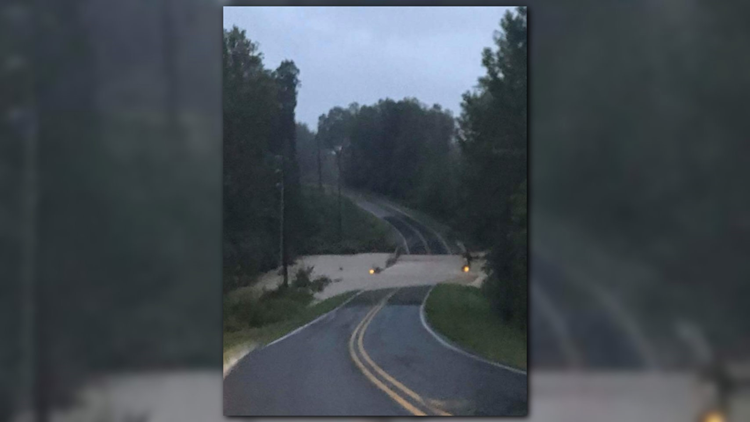 GREENSBORO, NC (WFMY) -- The North Carolina Department of Transportation now reports 400 roads are closed due to flooding. •Bladen and Wayne due to the flooding and/or washout of multiple major travel routes. 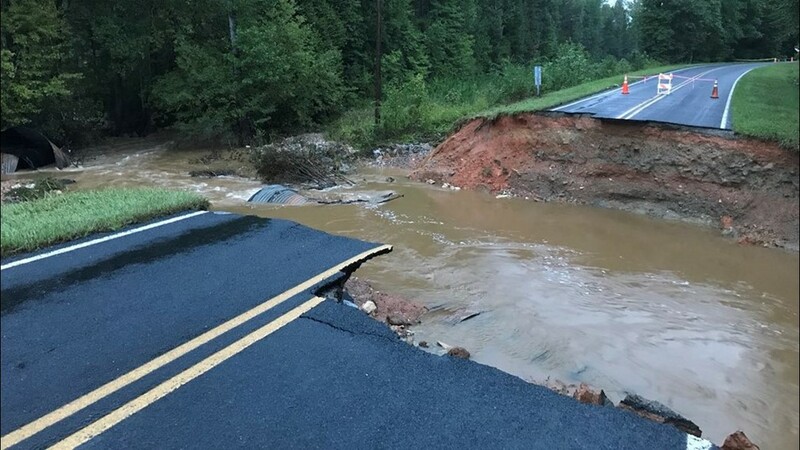 •Brunswick, Columbus, Duplin, Pender, Robeson, Sampson, and Scotland due to the flooding and/or washout of multiple North Carolina and secondary routes. 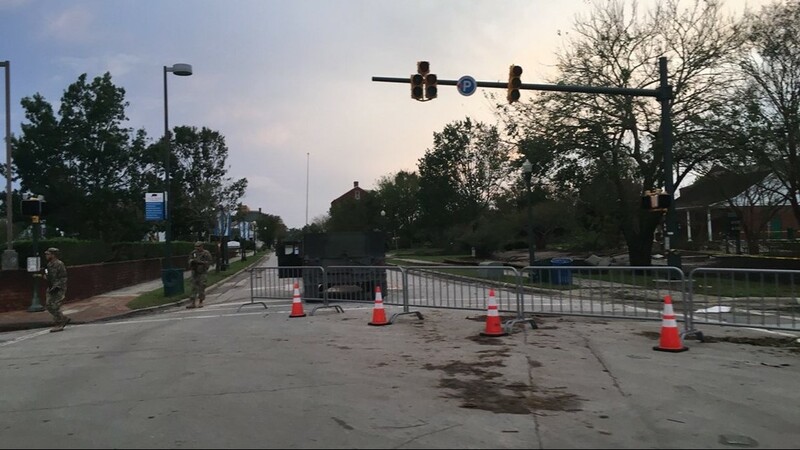 Remember not only is it dangerous, but it's also illegal to drive around or move barricades on closed roads. Police, Highway Patrol and Sheriff's deputies will be watching those areas closely. If a road is marked as closed or it's flooded, don't try to navigate it! I-40 has re-opened from NC 41 (Exit 385) to Wilmington. There are currently 2 eastbound lanes open and one westbound lane open. US-70 is open between I-95 and the coast with one lane closed in each direction in Kinston. US 74 is open from I-95 to Wilmington. I-95 is open in North Carolina. • Greene County – N.C. 58 northbound at the Wilson County line. • Jones County – N.C. 41, N.C. 58 in Trenton; and U.S. 17 in Pollocksville. • Lenoir County – N.C. 11 southbound at Skinner’s Bypass in Kinston. • Brunswick County – Sections of N.C. 130, N.C. 133, N.C. 211, N.C. 87, N.C. 904 and N.C. 906. • Duplin County – Sections of I-40, N.C. 111, N.C. 24, N.C. 241, N.C. 403, N.C. 41, N.C. 50, N.C. 903, and U.S. 117. • New Hanover County – Sections of I-40, N.C. 132, N.C. 133, U.S. 117, U.S. 17, U.S. 421, U.S. 74 and U.S. 76. • Pender County – sections of I-40, N.C. 133, N.C. 210, N.C. 50, N.C. 53, U.S. 117 and U.S. 421. • Sampson County – Sections of N.C. 24, N.C. 242, N.C. 411, N.C. 903, U.S. 13, and U.S. 701. • Onslow County – Section of U.S. 17 due to pavement washout. 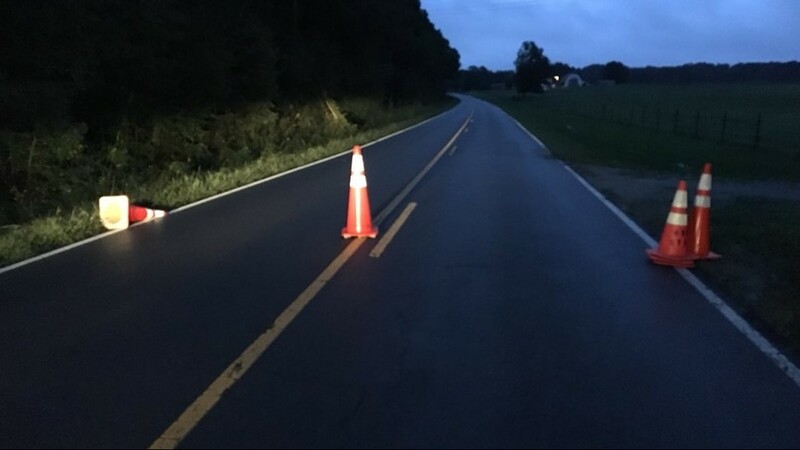 • Hyde County – N.C. 12 on Ocracoke Island remains closed from the Pony Pen north to the Ferry Dock due to protective dune loss and pavement damage; U.S. 264, N.C. 45 and N.C. 94 have sections of flooding, but remain open. 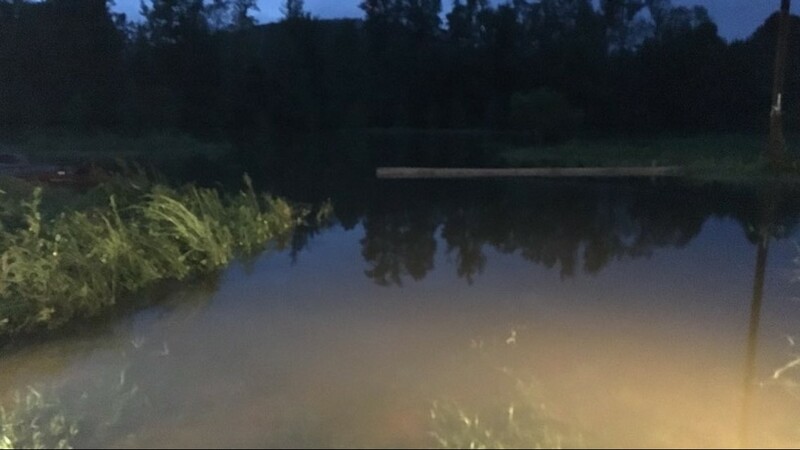 • Tyrrell County – U.S. 64 Business and N.C. 94 have areas of flooding but remain open. 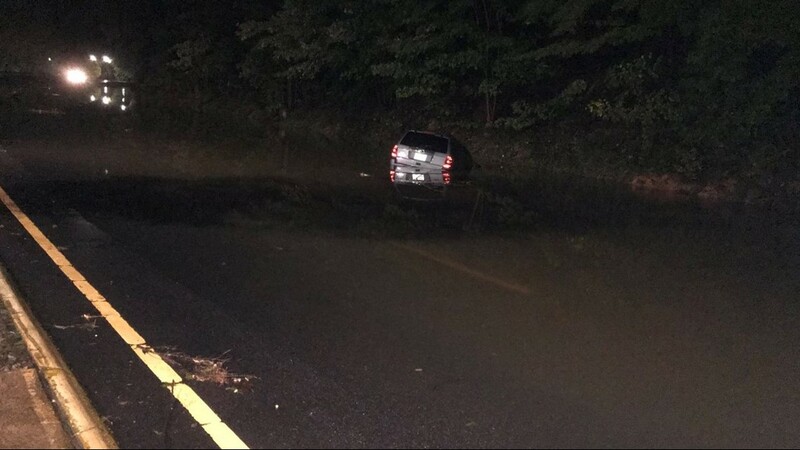 • Pasquotank County – N.C. 344 has sections with flooding but remains open. 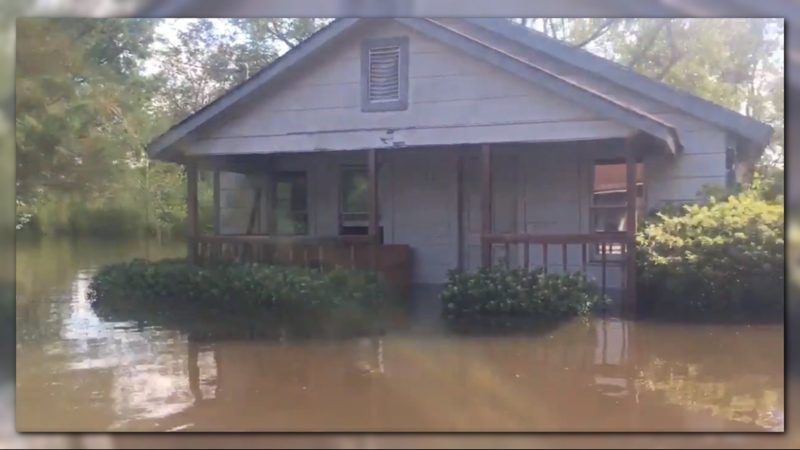 • Perquimans County – U.S. 17 Business and N.C. 37 experienced some flooding but remain open. 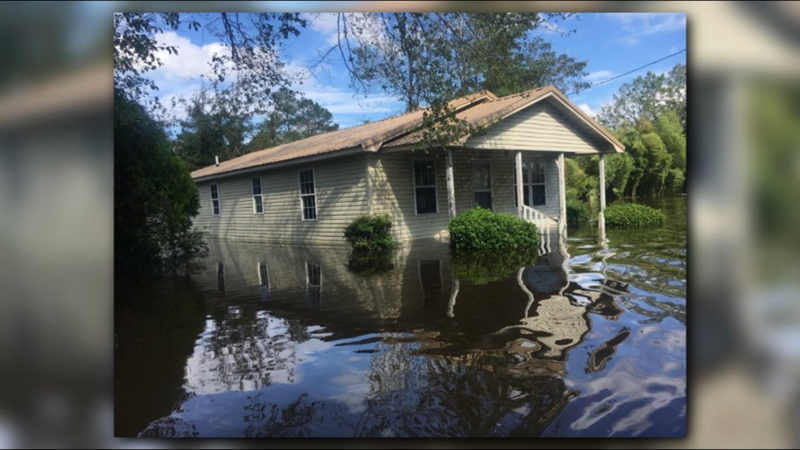 • Currituck County – N.C. 168 and N.C. 615 have areas of flooding but remain open. 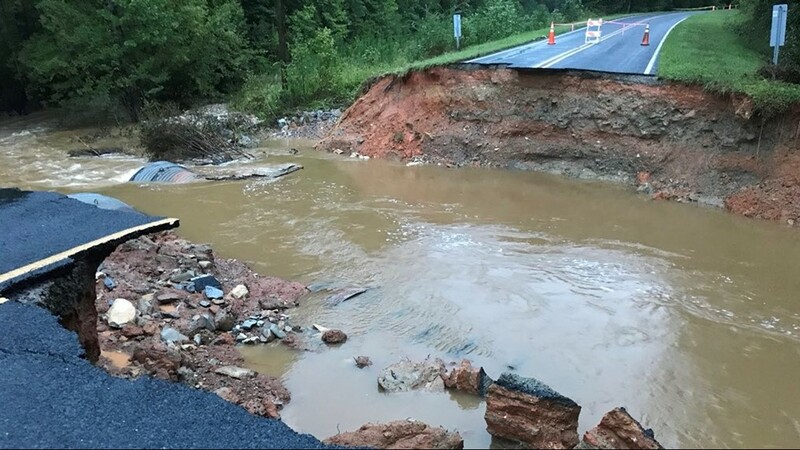 • Wayne County – N.C. 55 closed between Seven Springs and Mount Olive due to washouts; U.S.13 west of Overman Road is closed due to flooding; I-795 northbound lanes closed south of the Goldsboro Bypass due to slope failure; and N.C. 111 southbound closed from Neuse River flooding. 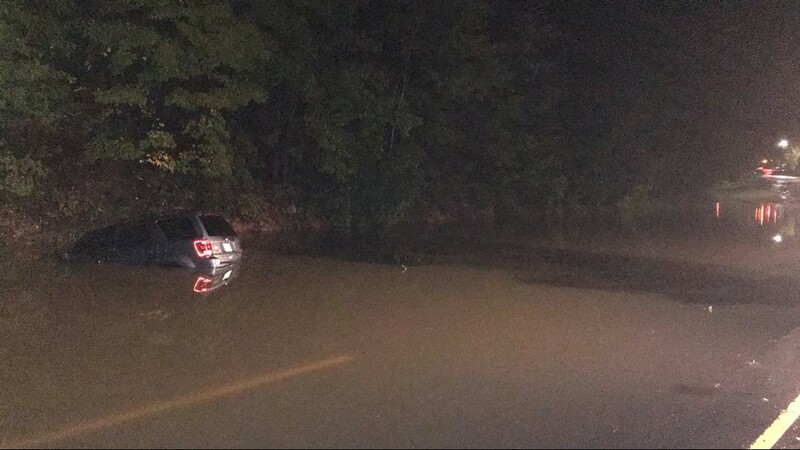 • Wilson County – N.C. 222 closed due to flooding south of Stantonsburg, and U.S. 58 is closed north of Bartie Road near Stantonsburg. 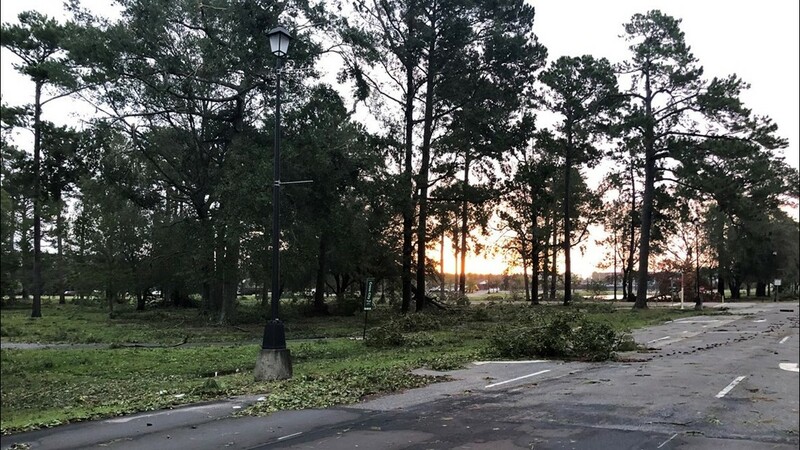 • Bladen County – U.S. 701, N.C. 41, N.C. 53, N.C. 210, N.C. 211 and N.C. 211 Business closed in sections. 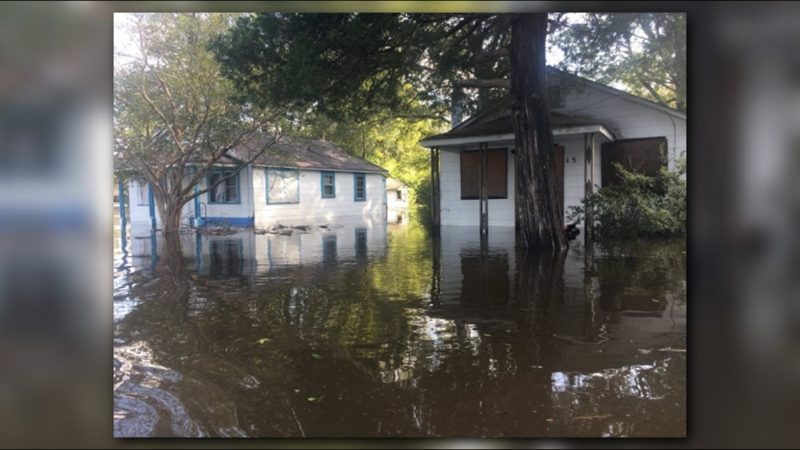 • Columbus County – U.S. 74, U.S. 74 Business, U.S. 76, U.S. 701 Business, N.C. 87, N.C. 130, N.C. 211, N.C. 904, and N.C. 905 closed in places. • Cumberland County – I-95, U.S. 13, U.S. 301, N.C. 24, N.C. 59, N.C. 87, N.C. 210 and N.C. 690. • Harnett County – I-95, U.S. 401, N.C. 27, N.C. 82, and N.C. 217 closed in sections. • Robeson County – I-74, I-95, U.S. 74, U.S. 301, U.S. 501, N.C. 41, N.C. 71, N.C. 72, N.C. 83, N.C.130, N.C. 211 and N.C. 904 are closed in sections. 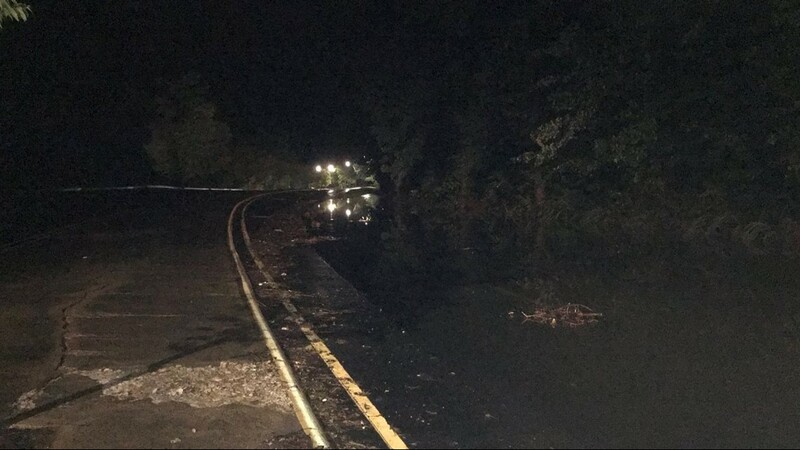 • Chatham County – U.S. 15/501 from Pittsboro to U.S. 1 in Lee County closed due to overtopping of Deep River; U.S. 421 closed due to flooding from the Deep River. 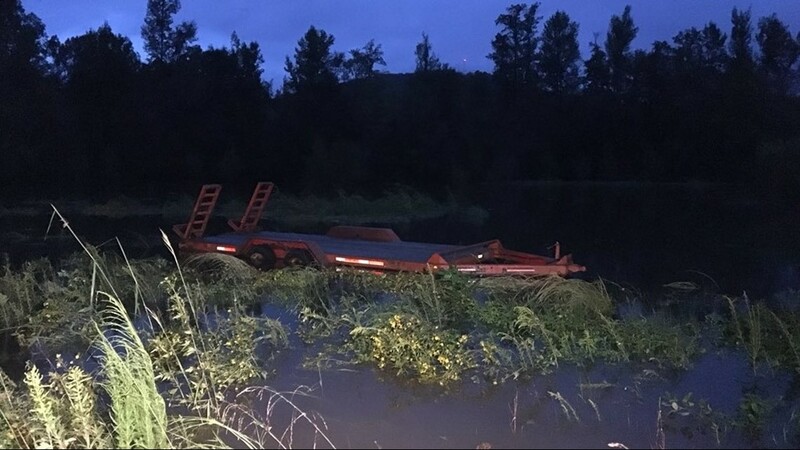 • Lee County – U.S. 421 closed due to the cresting of the Deep River. 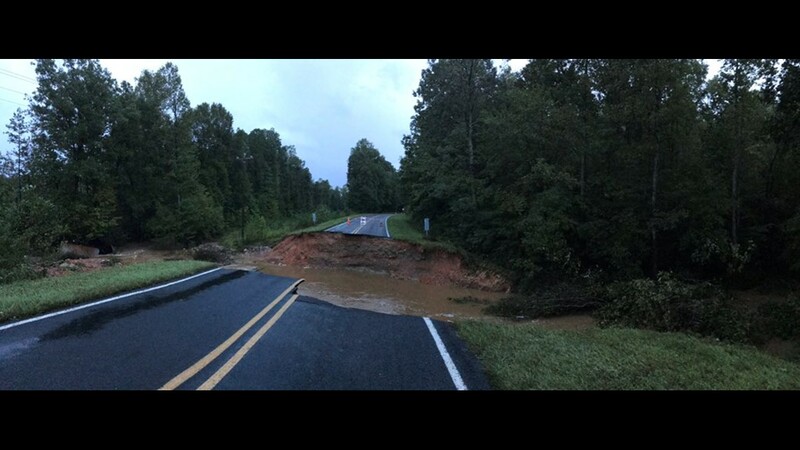 • Moore County – Portions of N.C. 22 and N.C. 690 are impassable due to flooding. 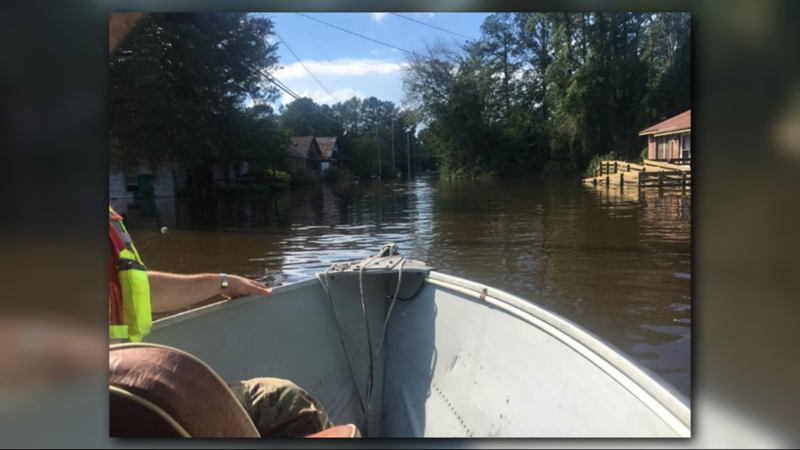 • Scotland County – U.S. 401 is impassable in multiple locations throughout the county; U.S. 401 Business in Laurinburg is closed; U.S. 501 is closed due to high water in three locations near the Robeson County line, as well as at the Hoke/Scotland County line due to partial roadway washout at Drowning Creek (headwaters of Lumber River); and U.S. 74 Business is closed in east Laurinburg due to flooding near the approach to a bridge. Clyde King Road in Seagrove is completely washed out by a creek running through it. WFMY News 2 photo. 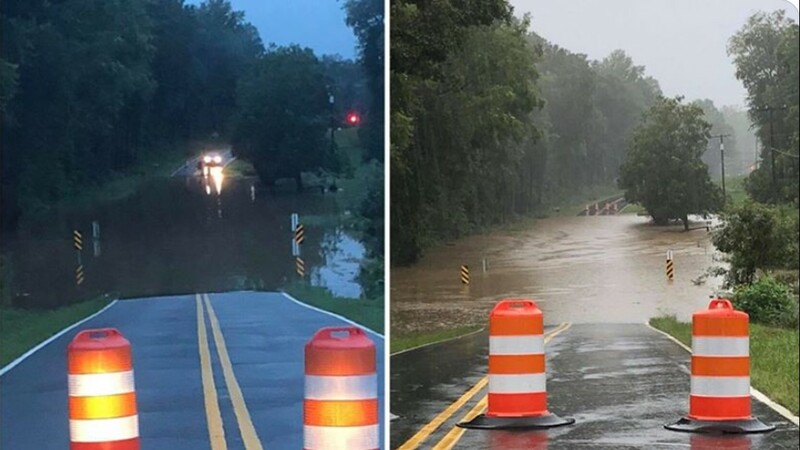 These pictures of this morning's rain on Huffine Mill Road in McLeansville were taken about 90 minutes apart. Photos courtesy Robert Boyer. 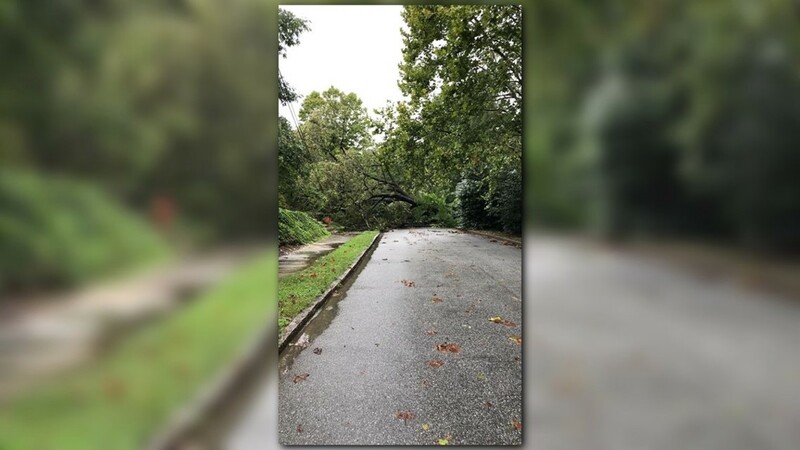 A tree down in the Fisher Park neighborhood in Greensboro. Photo courtesy Jessica Corum. 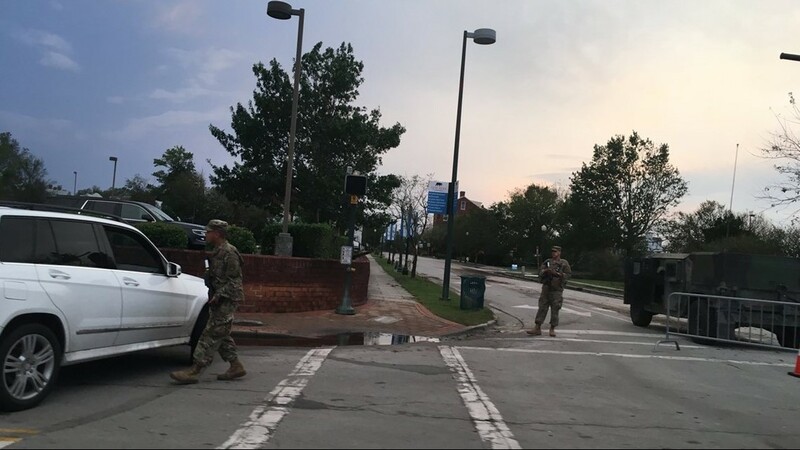 Members of the National Guard manning the barricades at restricted points in New Bern. WFMY News 2 photo. A flooded apartment complex building in downtown New Bern. 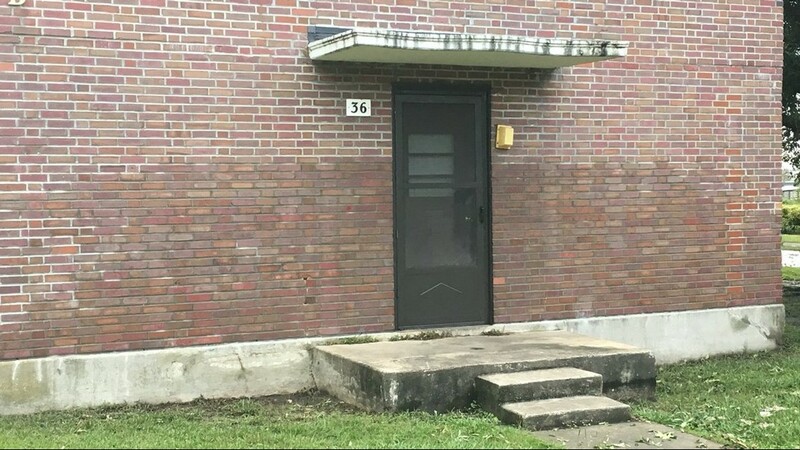 The water line from flooding topped six feet. WFMY News 2 photo. 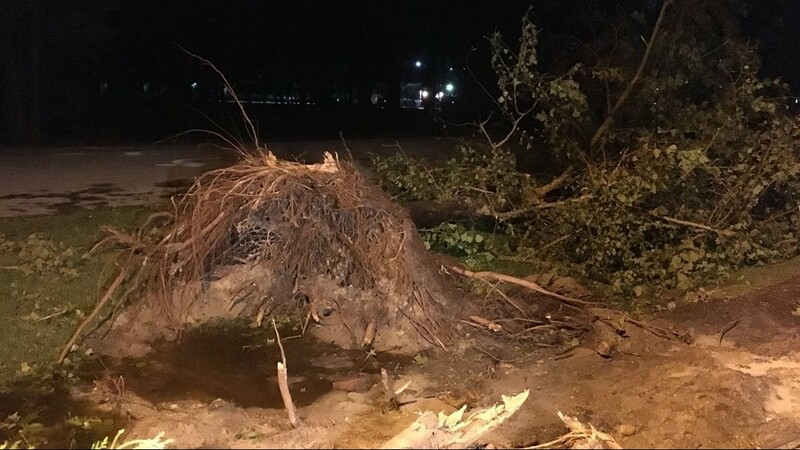 A lot of fallen trees and branches litter the UNC Wilmington campus Monday morning. WFMY News 2 photo. Flat Swamp Road in Denton. WFMY News 2 photo. 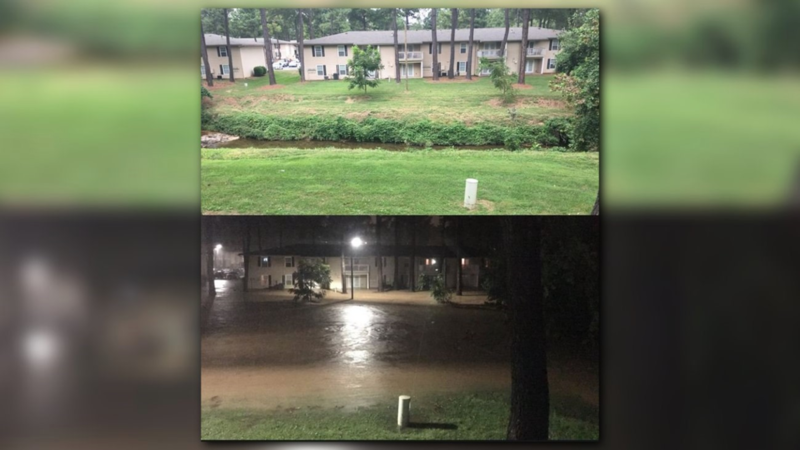 Before and after flooding pictures at an apartment complex. 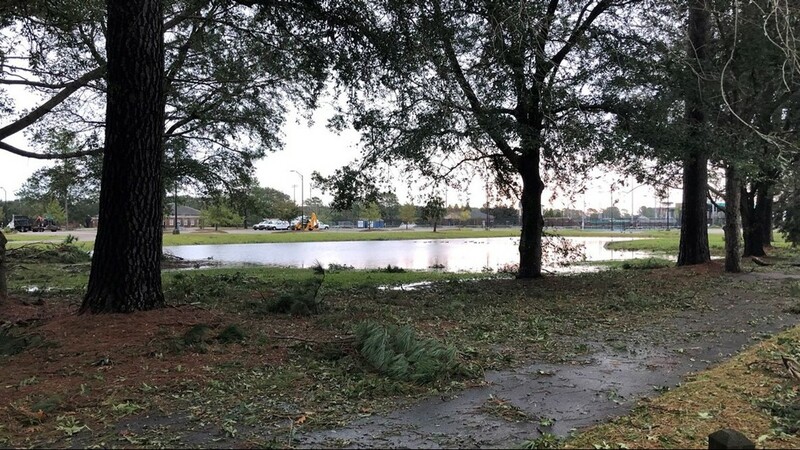 A tree down at Craven Community College in New Bern. WFMY News 2 photo. 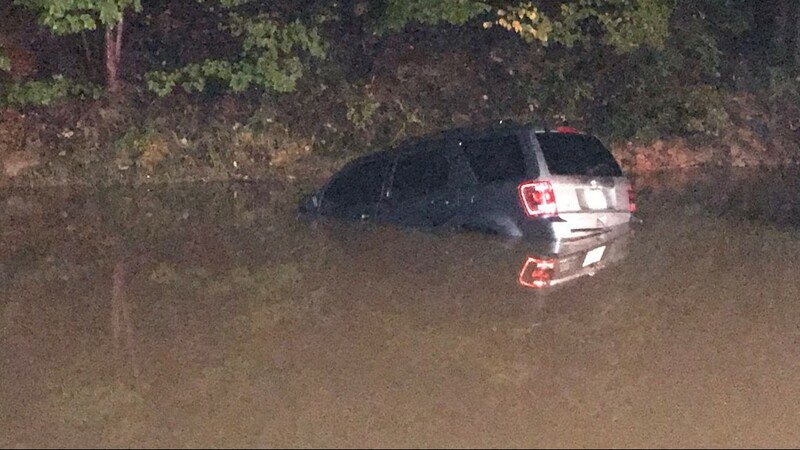 A driver had to be rescued from an SUV on Vision Drive in Asheboro. 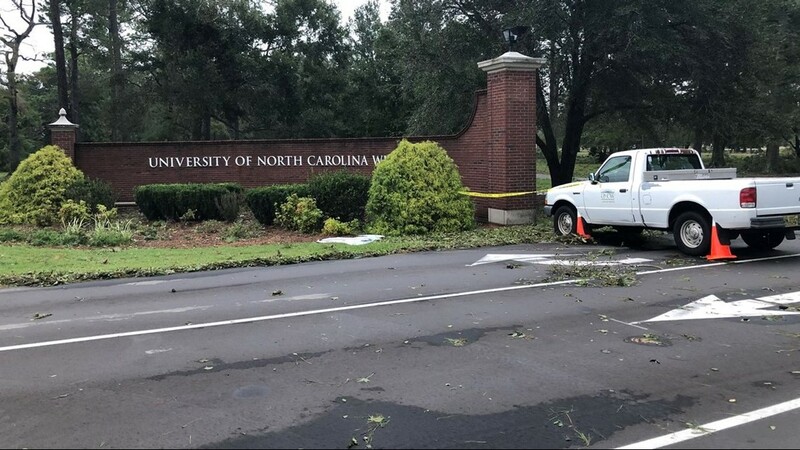 WFMY News 2 photo.